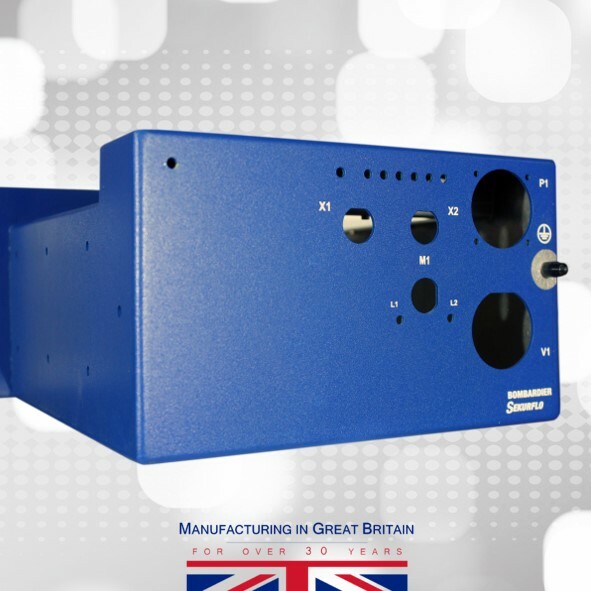 We were tasked with manufacturing a precision aluminium casing designed to house electronics for a well-known train manufacturer. This is a product which, in the past caused problems for our customer to have manufactured to the high standard they expect and require. 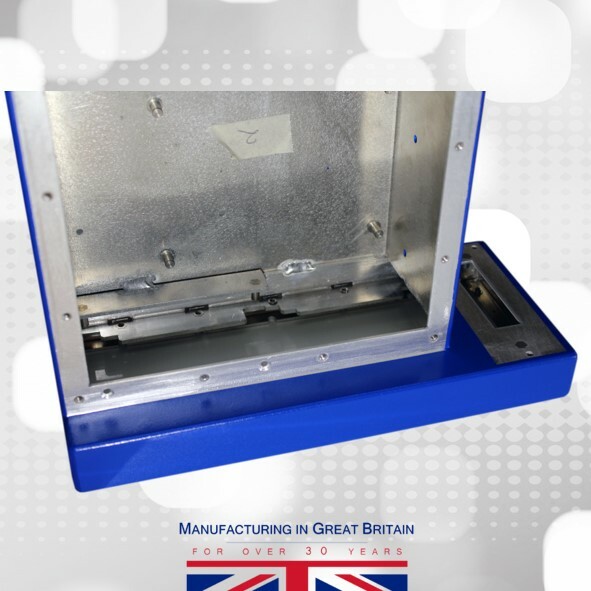 We were approached by the customer following our good track record with other products we have manufactured for them to see if we could do better and we willingly accepted the challenge. The casings were a little complicated with numerous holes, cutouts, captive nuts and studs which are required to line with other parts and components. 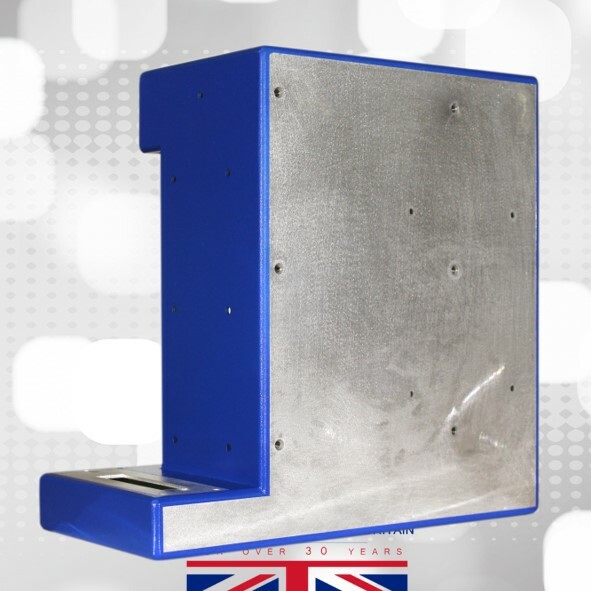 The initial developed shape took a little trialing before we achieved the correct bend allowances and hole positions so as when the parts were bent we achieved the correct sizes. 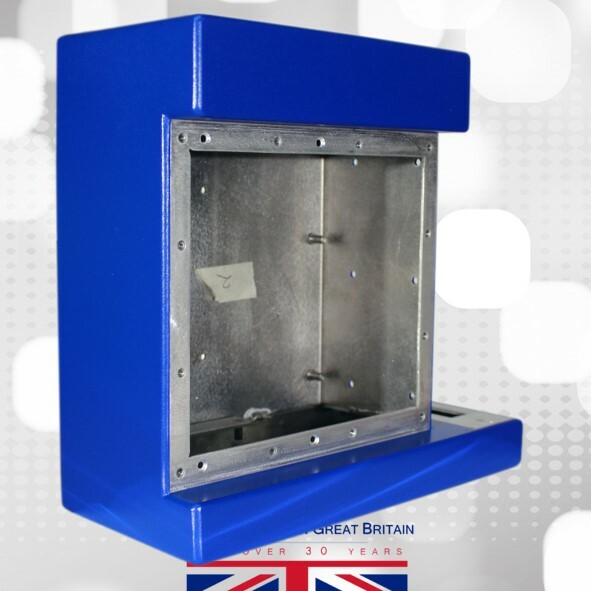 The requirement for internal brackets to be welded required the unit to be made as a series of sub-assemblies before being welded finally to form the finished unit. Made from Aluminium the welding was a little more challenging than our usually mild steel or stainless steel tig welding. You may know the weld bead and heat input required when welding Aluminium is more than that used when joining Mild or stainless steels. 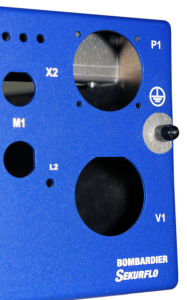 This additional heat input results in more distortion which must be removed or controlled. The casings were finally cleaned up and all weld beads removed and the whole unit was orbital sanded to receive the paint finish. The paint finish required was a medium texture finish which as there were only five at this stage required us to apply the finish using a wet spray technique. Prior to this however the unit required accurate masking of the areas which were required to be free of paint. This was a little involved as the definition between paint and raw material finish was exacting. The masking however went well and so did the paint application resulting in a good paint finish on all the units. The final process required by the specification was the application of a series of text blocks and indicators. These were applied using a screen printing technique, a process about which we know very little, so it was subcontracted out. 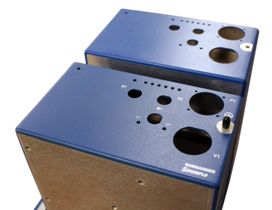 When the components were returned they looked good and we were able to wrap the units and dispatched to the client onetime.